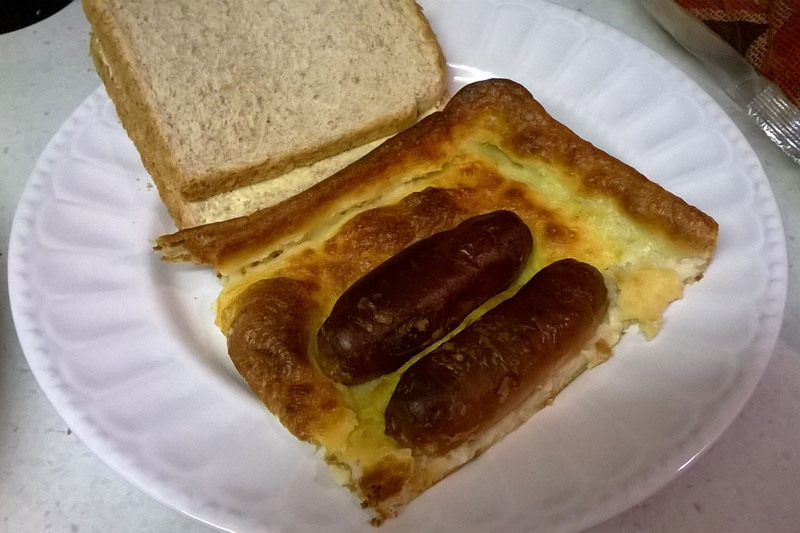 If you’re curious as to what a “Toad in the Hole” is, simply keep scrolling… Or, you can always Google for pictures. 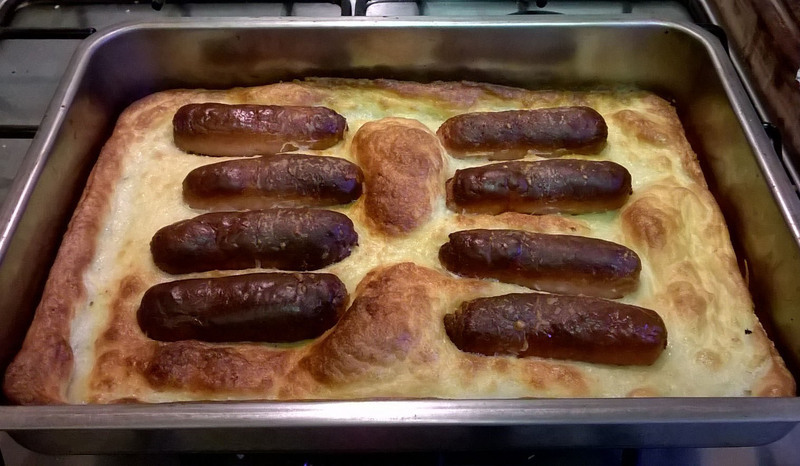 No, it’s not an actual frog in a hole… It’s pork sausages baked inside a Yorkshire pudding. And it’s so easy and cheap to make… It’s also a family favourite. Preheat your oven to 220C (200C for fan assisted). 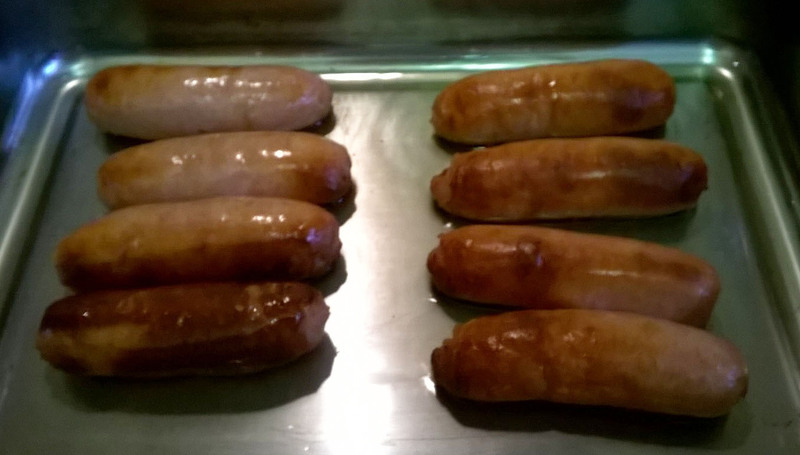 If required, separate your sausages, and line in the base of an oven proof dish, ensuring enough of a gap in between each sausage. Drizzle about a tablespoon of oil over the sausages. 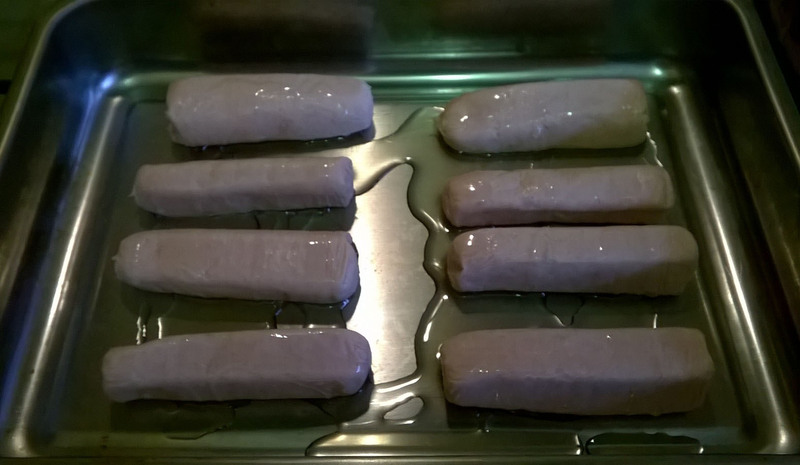 Place in to the oven for about 20 minutes or so, until the sausages have started to brown. Now it’s time to make the batter! Sieve the flour in to a mixing bowl, and make a ‘well’ in the middle. Crack the egg in to the well, and mix lightly. 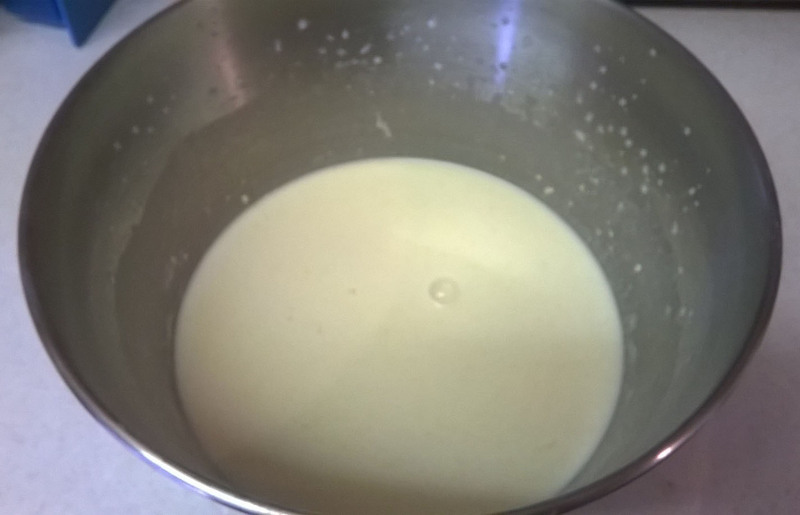 Add the milk and water slowly to the flour mixture, stirring constantly. I put the water and milk in to a jug, and poured in to the flour mix whilst using an electric whisk. The mixture should be of a creamy texture when it’s all combined. 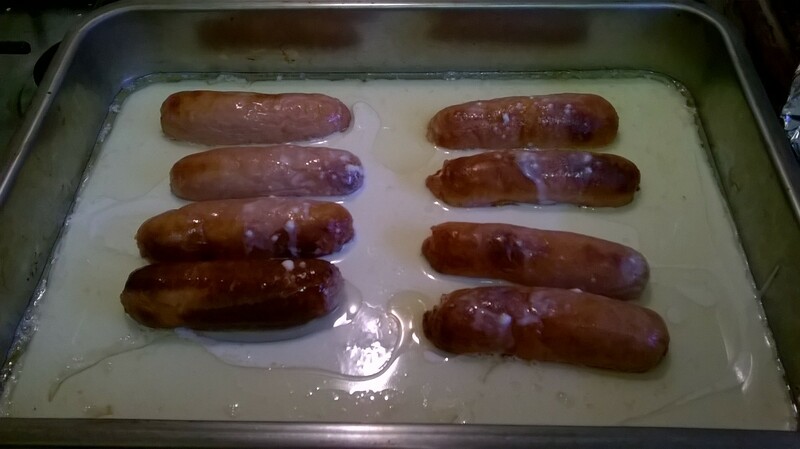 When the sausages are cooked, quickly pour the flour mixture over the top of the sausages, and return to the oven for a further 30-40 minutes. The batter mix should be a lovely golden brown colour when done.